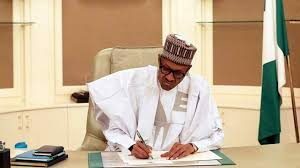 President Buhari signs consumer protection bill into law – Royal Times of Nigeria. 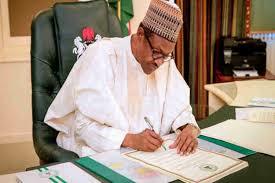 Fifteen years after the Bureau for Public Enterprise (BPE) proposed an anti-trust law to checkmate monopoly in the Nigerian economy, President Muhammadu Buhari has signed the Federal Competition and Consumer Protection bill. The law seeks to eliminate monopoly and ensure competitive trade in the country. Senior special assistant to the president on national assembly Ita Enang, disclosed this in a statement on Wednesday. Enang said the new law repeals the Consumer Protection Council Act and sections 118-128 of the Investment and Securities Act. According to Enang, the law is to promote economic efficiency, maintain competitive market in the Nigerian economy, protect the Nigerian economy, protect the interest and welfare of consumers by providing consumers with wide variety of quality products at competitive prices as well as prohibit restrictive or unfair business practices in the Nigerian economy. The act has been remitted to the national assembly and appropriate authorities as law of the federation.